Oh, you didn't think boys could play dress up? Well, these boys know how to have fun and dressing up and pretending is one of their favorite activities. 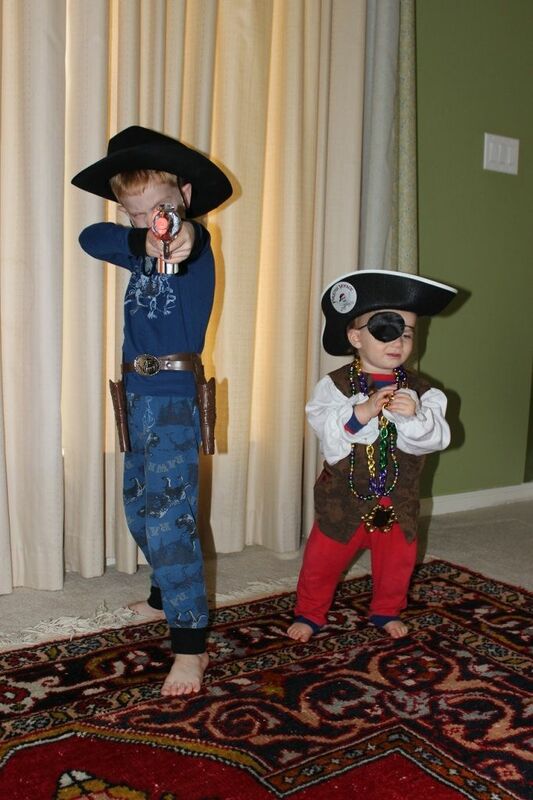 Evan usually goes for his favorite cowboy attire, and Brody has really been loving his bling bling lately. 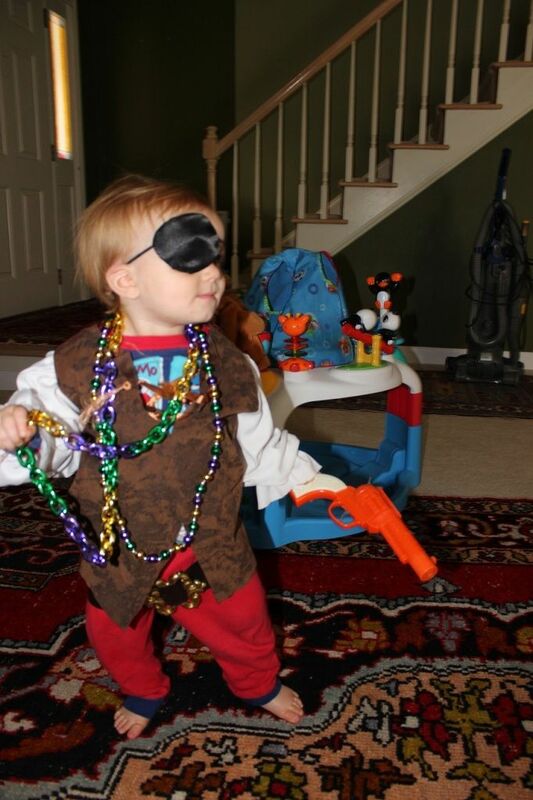 Brody raided the drawer and found these crazy mardi gras beads from Evan's preschool "bling" day. 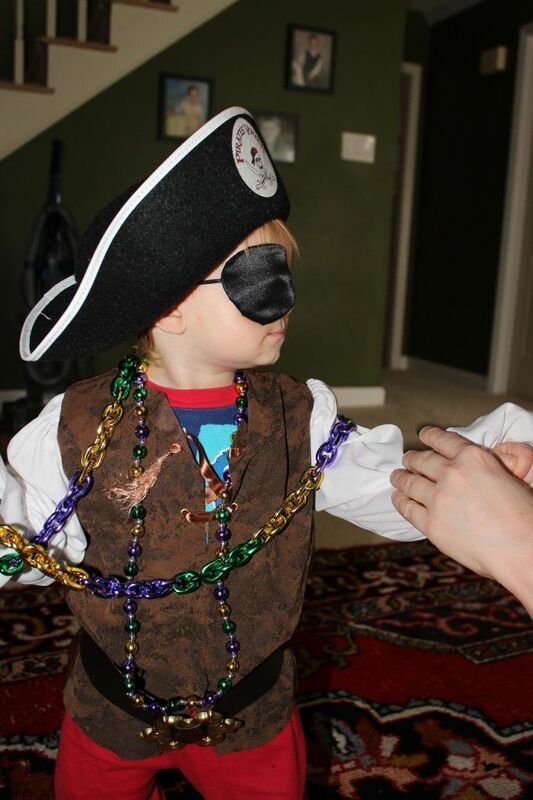 Mommy added the pirate hat, shirt, and eye patch. We had a pretty lazy weekend so both boys stayed in their pajamas a lot. I apologize now that you may get cuteness overload here! 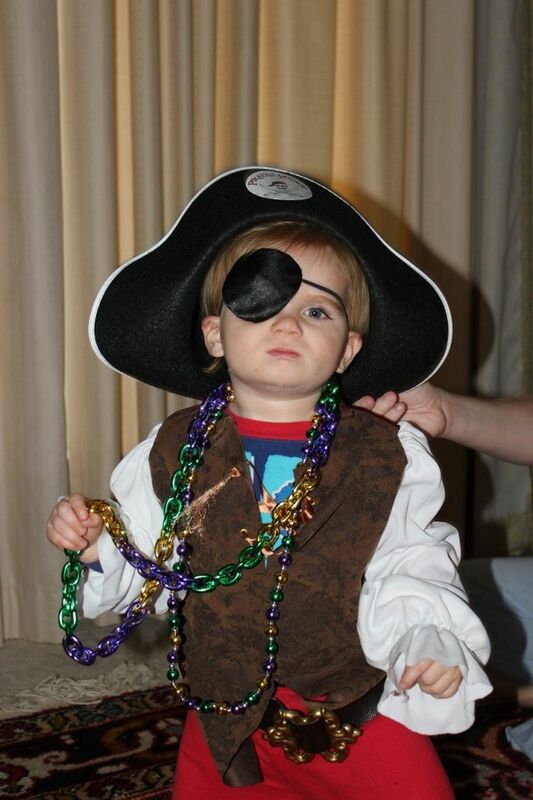 It's baby bling bling pirate! The eye patch really made the look. "What are you looking at? Argh!" 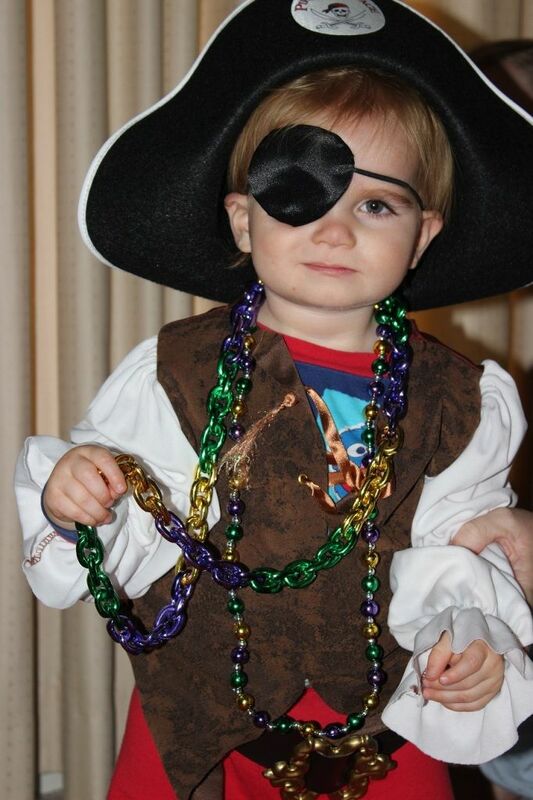 I think I could just eat this pirate up! Look out, he's got a gun! I love that they play dress up!! They both just look so cute. Do they normally play well together? What sweethearts. Spencer loves dressing up, and he usually dresses up over pajamas! It goes without saying that I love the comparison shots. 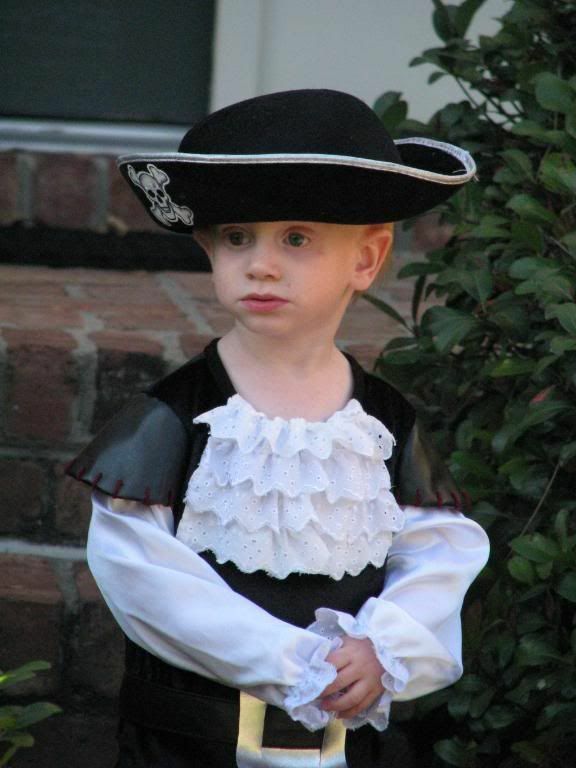 Evan looks so thoughtful as a 2 year old pirate. So cute!! That is one of my boys fav pastimes also! Our dress up bin is massive-superheroes, animals, knights, fireman, doctor (I go to Wal-mart the day after Halloween to stock up:). 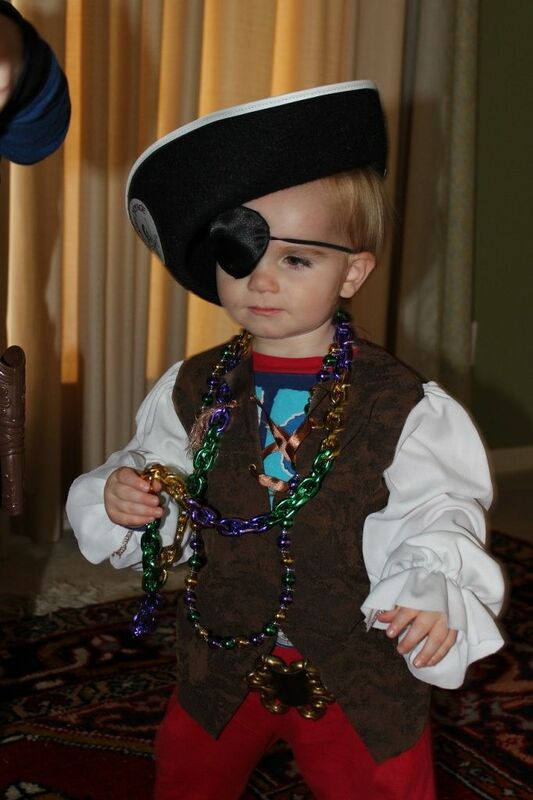 I found my boys dressing up baby brother today with a pirate hat! 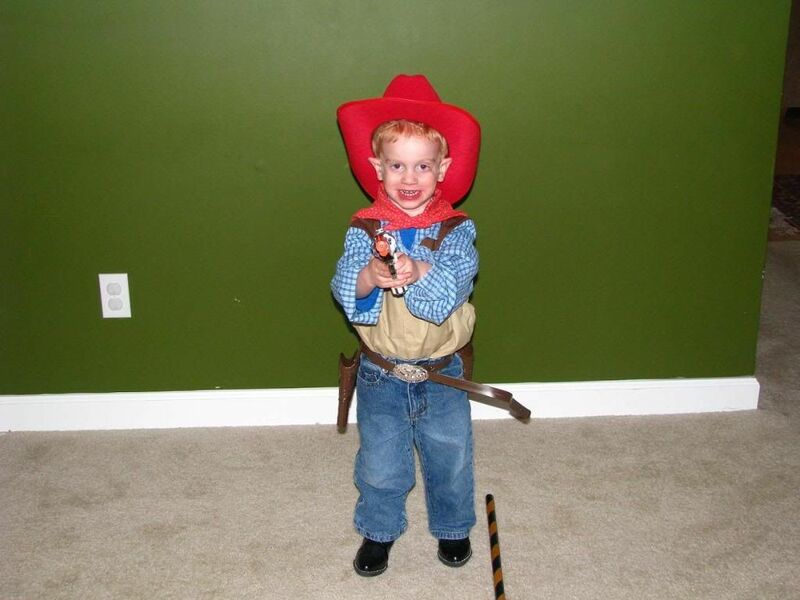 Yep, most of our dress up costumes are part of old halloween costumes too with some hero hats and accessories too. I think I like boy dress up clothes better than girls although I did buy my niece a whole "trunk full" of girl dress up clothes for her 3rd birthday and that was probably her favorite present ever!